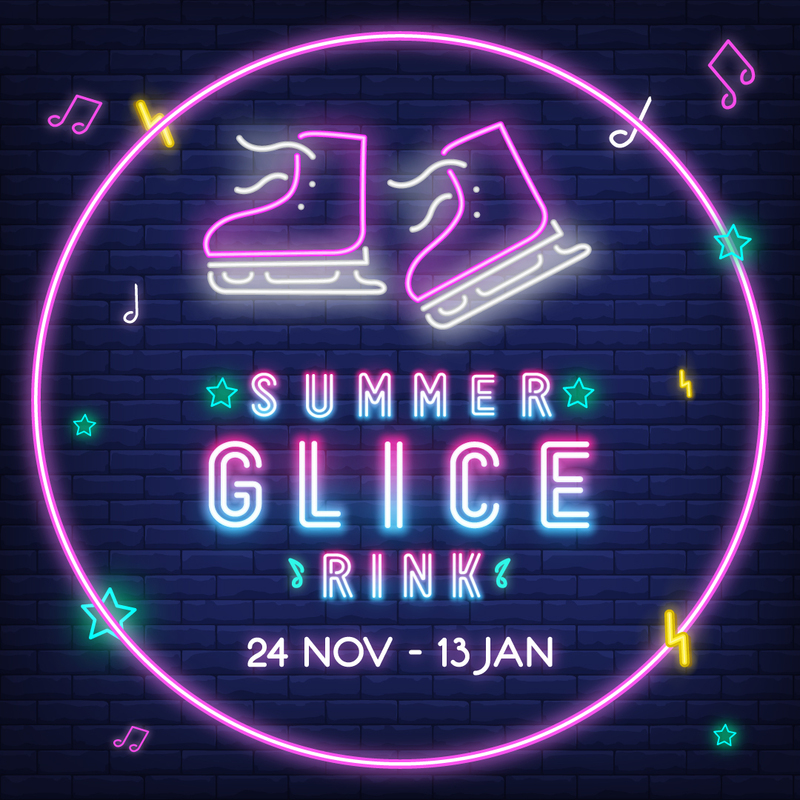 Capegate Shopping Centre will welcome hours of indoor summer fun in the form of glice skating from 24 November – 13 January. The neon-themed event will be in the centre court and costs only R50 per child for a 40 minute session. For more information, visit www.capegatecentre.co.za or follow #CGSummerGlice on social media. You can also contact Capegate centre management on 021 981 2288 / reception@capegatecentre.co.za. *A portion of the Summer Glice Rink fees will be donated to the Hyprop Foundation Charity. ARE THERE SPECIFIC TIME SLOTS? Yes, there are! Every hour from opening to closing. WHAT IS A GLICE RINK? Glice is a state of the art 10 x 6m synthetic ice rink that works without electricity or water, but still offers the same experience as a water-based ice rink. WHAT IS THE DRESS CODE? There is no specific dress code as the glice is not cold, but we would encourage you to dress to the neon-theme for even more awesomeness. Don’t forget to wear a thick pair of socks too! HOW BIG IS THE GLICE RINK? The rink is 6x10m (60sqm) so will only be able to accommodate 14 kids at a time. HOW OFTEN WILL THERE BE SESSIONS? There will be a session every hour. ARE THERE ANY DISCOUNTED RATES? Yes, if you bring your own skates you only pay R40. IS THERE A DROP & GO OPTION? No, there is unfortunately no drop and go option. There will be a section for parents to watch their kids.